Registered Psychotherapist (RP), Certified Art Therapist, New Decision Therapist, and Master Neuro Linguistic Programming (NLP) Practitioner. Yvonne Rose undertook her two year graduate level training at the Institute of Art Therapy in Toronto. Her thesis was entitled Art Therapy with Young Male Offenders: Using Projective Drawing Tests as a Tool. She is a Registered Psychotherapist (RP). Her education and training include a B.A. in Religious Studies from the University of Toronto and three years at the Ontario College of Art and Design. She recently obtained her Masters in Education (M.Ed.) at the Ontario Institute for Studies in Education (OISE). In addition, she studied Psychodramatic Bodywork for over 10 years, advanced Core Shamanic Journeywork, Hypnotherapy, Trauma Focused Cognitive Behavioural Therapy, and Emotional Freedom Techniques (EFT). Yvonne has worked with children in schools and group homes; adolescents in a drug rehabilitation centre; male adolescents in open and closed custody facilities; and adults in psychiatric care and a community arts centre. At present, Yvonne works as a counsellor for a company offering an Employee Assistance Program, she is a consultant art therapist for the Children’s Aid Society, and sees individual clients in her private practice where she offers various programs and workshops. 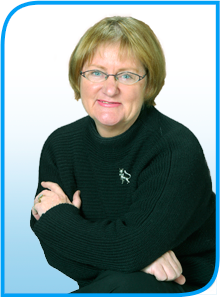 Yvonne has taught and supervised with the Toronto Art Therapy Institute (TATI) for 5 years. She has just started a new group at the Toronto (Don) Jail with the special needs population. Yvonne’s approach is one of encouragement and support. Her empathy and understanding assist individuals to move beyond their emotional impediments and constraints. They are encouraged, instead, to move towards emotional freedom, expansion and personal growth.